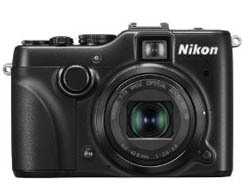 Imaging Resource has reviewed a high end compact camera from Nikon called Nikon Coolpix P7100. This Nikon camera has a large 10 megapixel image sensor and an optical zoom lens that has a max aperture of 2.8. Imaging Resource ends up giving the Coolpix P7100 a good review and it even gets a “Dave’s Pick”. The reviewer finds many positive sides including very good image quality, improved speed compared to the P7000 model, tilting LCD screen and the zoom range is nice. There are some negative sides also including a bit chunky camera design, the HD movie quality could be higher and the camera is actually a bit slower than competing models from other camera brands. Overall this Nikon camera is a very good choice if you are looking for a compact camera that produces images of high quality. Read the full review of the Nikon Coolpix P7100 high end compact camera here.